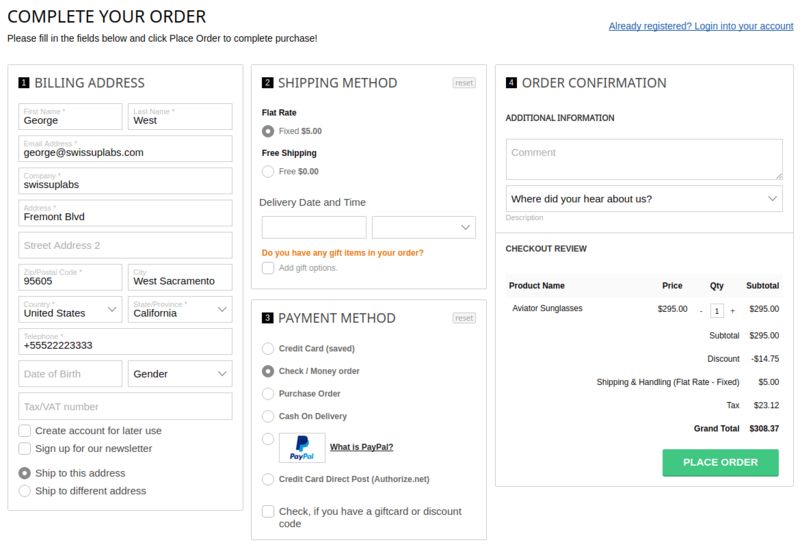 With Fire Checkout for Magento you can optimize your store's checkout process. Fire Checkout will increase your sales by making it EASY to buy! True One-Click purchase: increase your sales and conversions dramatically! Turn 6 steps into just 1: Eliminate the need to scroll so the checkout process becomes easier for your customers and more profitable for you. FireCheckout for Magento gives your customers a truly responsive checkout experience: Increase sales for both desktop and mobile users! Auto-detect the user's country and city with geolocation technology! Easy 1-minute installation, without even touching the Magento core files! Every purchase includes 3 months of FREE support and FREE lifetime upgrades! Get Fire Checkout for Magento Now!